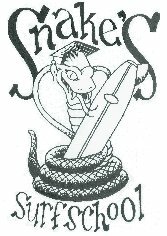 Yep it's me, Bruce Gabrielson, the 1960s Huntington Beach Snake, still alive and charging the surf as best I can after over 55+ years on a surfboard. If you're an old friend, please email me. Otherwise, say hi if you see me in the lineup in Huntington Beach, Ocean City, Maryland, or in other parts of the world. This web site was first put on the net as an FTP messaging board in 1990 while I was working at Naval Research Labs using a blackmagic domain. To my knowledge it was the first Internet surfing website. I believe my book, The Complete Surfing Guide for Coaches" was also the first full text book placed on the Internet about 1991 while I was researching bandwidth issues. I no longer update this site or my facebook page that often since I retired. Been a long time at it but now it's time to fade into the sunset. I've gotten to know many great surfing friends over the years. Maybe I will run into you someday. I still get emails. We offer the only NSSIA accredited surf school with actual certified surfing instructors (not just certified CPR) in Maryland. 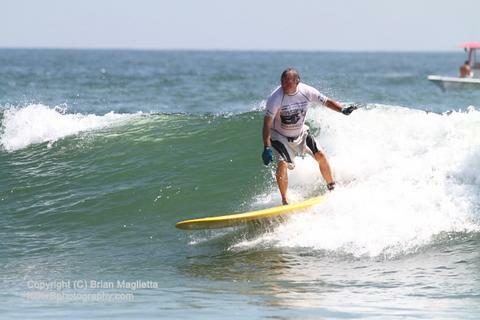 I give SURF LESSONS through my surf school in Ocean City, MD. Very reasonable rates. During the warmer months I am usually at my museum evenings during the week when the waves aren't that great. Otherwise, everything is closed. 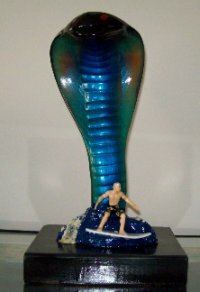 Call first (240 464 3301) if you want to drop by and see my large collection of surfing history. 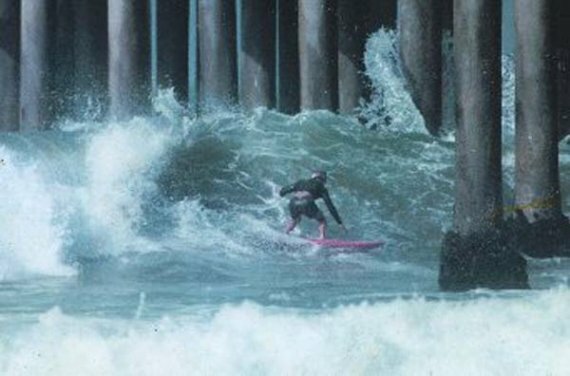 The regular events I try to make each year are the July 4th Huntington Beach parade, Surf EXPO in Orlando and the International Surfboard Builders Hall of Fame inductions in Huntington Beach in November. Here are several old articles from the early 1970s and later plus some more recent articles and videos I'm in that you might be interested in reading. To the Wave Trek Surfboards Website - My original surfboard company. and the Ocean City Surf Club. In addition to being a certified surf instructor, I have coached many professional level surfers over the years including Mike Downey, Jeff Smith, Bobby Burchell, Bobby Nishi, Rick Fignetti, Ron Crumby and more recently North Shore standout Aaron Powell. Below are links to my various resources. For pictures taken of me and by me over the years click the pictures link. To my shaping mentor Dale Velzy's special shaping equipment display that I sometimes show at special events. If you plan to visit me or this area, here is what you will see!! Feel free to email me your comments, etc. This is the original first surfing web page (but now with a domain name). It was put on DARPANET using Mosaic in 1991 (while I worked at Naval Research Lab). I originally used it to transfer files and then put my coaches surf book on the web when Mozella was invented.